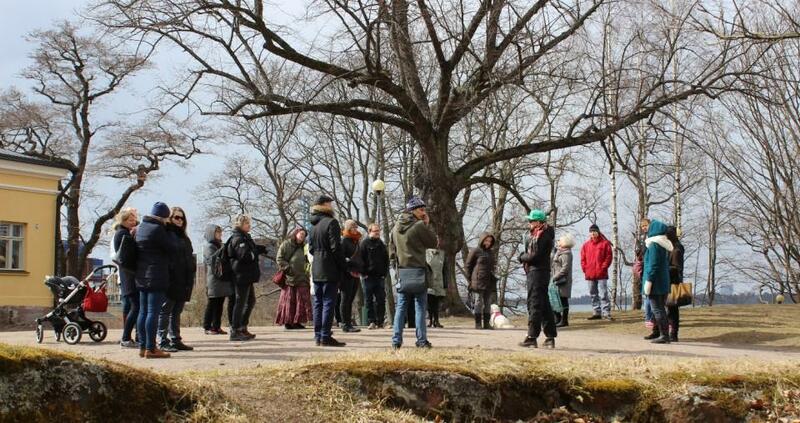 Free Helsinki Walking Tour on Wednesday, Friday and Saturday at 11AM. From May 2nd every day. 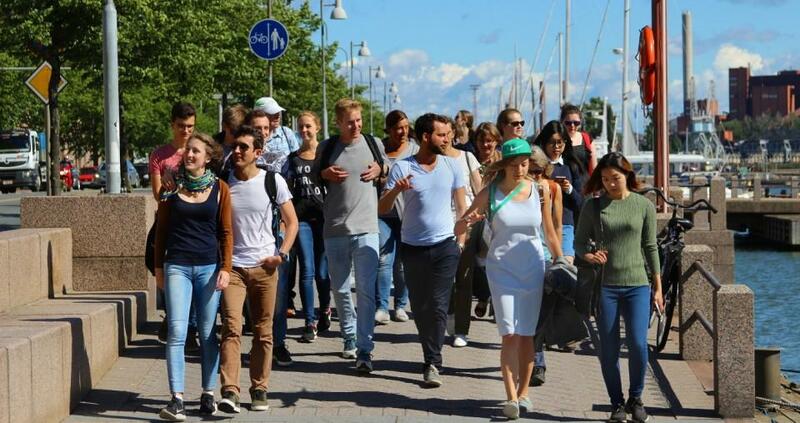 If you want to keep things simple, casual and you don’t mind bigger group – join our famous Free Walking Tour in Helsinki. No need for reservation unless you are more than four joining. This tour is free of charge. We appreciate a tip at the end of the tour, but it’s completely voluntary. Tip the way you feel. 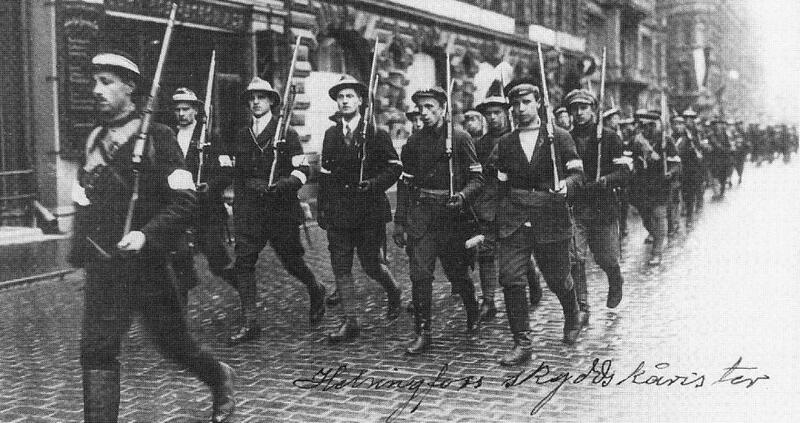 The tour starts from the Senate Square. You will find your guide with a green cap from the base of the massive white cathedral stairs. When you get to the square it is impossible to miss. This tour is quick and easy introduction to Helsinki’s history and to Finnish lifestyle. Your guides are Finns so the know what they are talking about. Read more about the tour, click here. We run Free Walking Tour all winter 2018-2019 on Wednesdays, Fridays and Saturdays at 11AM. From may 2nd every day excluding public holidays. Please reserve your spot. 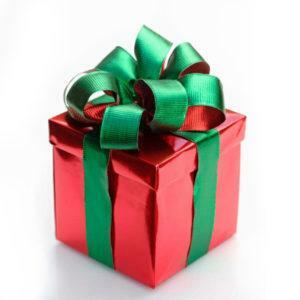 This way we can anticipate the group size and provide appropriate amount of guides. ¡TOURS GRATIS de HELSINKI EN ESPAÑOL! En invierno 2018-2019 hacemos tour a piel gratuito en español a las sabados @11:00 y comenzando el 2 de mayo todos los días @11:00 (excluyendo festivos). Un recorrido a pie de 2 horas paseando por los barrios más antiguos e importantes de Helsinki. 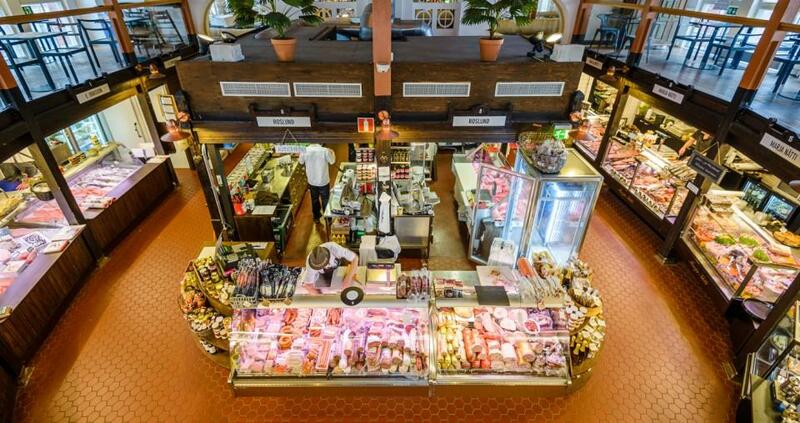 Conoceremos la Plaza del Senado, la Caterdral de Helsinki, el Banco de Finlandia, la Catedral de Uspenski, el Palacio Presidencial, la Plaza del Mercado, el bourlevar de Esplanadi, además de recomendaciones para comer y beber en la ciudad, la cultura finlandesa , su sociedad y más. El tour EN ESPAÑOL empieza en las escaleras de la catedral blanca en la plaza del senado Hallituskatu 9, Helsinki a las 11:00. busque los guías con la gorra verde. Disponemos de un tour más largo y profundizado sobre la politica, economía, história y cultura de Finlandia llamado el ‘City Center Walk Tour’. El tour en español empieza a las 11:00 en las escaleras de la Cateral de Helsinki en Hallituskatu 9 (en la Plaza del Senado). El guia llevará una gorra verde y/o una acreditación de Green Cap Tours. Grupos de más de 10 personas deberán contactar con la empresa para poder mejor acomodarles y ofreceres un producto a su medida. Por favor reserve su lugar. De esta forma, podemos anticipar el tamaño del grupo y proporcionar la cantidad apropiada de guías. 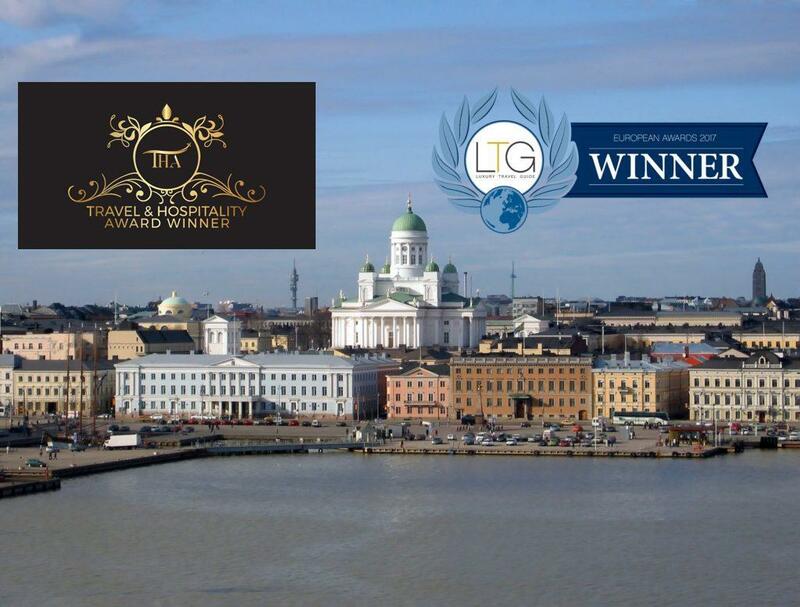 We are focused to produce the best Helsinki City Tours. We are a Finland-based tour company, which offers a variety of tours suitable for all travellers and budgets. 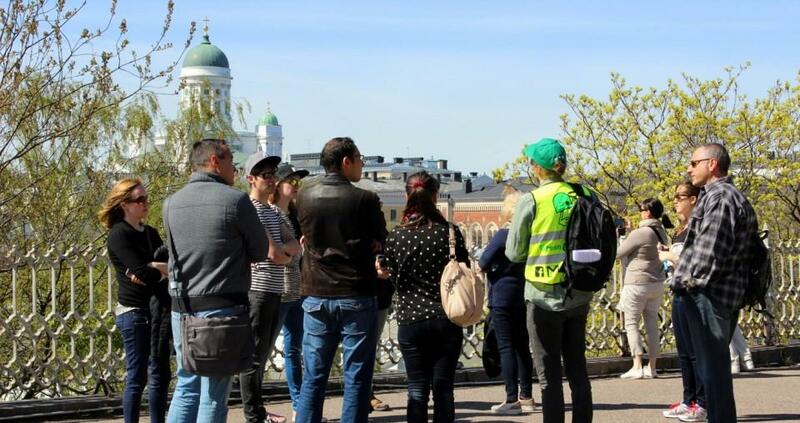 Our local tour guides are knowledgeable, experienced & informative, assuring that experiencing one of our Helsinki city tours will leave you with an understanding of Finland’s rich heritage, history, culture and geography. 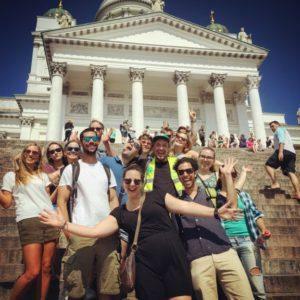 Our tour offerings cater to everyone, whether you want to immerse yourself in Helsinki’s city center with a walking tour, sample the local flavours on Food & Beer tour, or go out ordinary on guided tour in former psychiatric hospital. If want to go all Nordic Noir you must join our thrilling Helsinki Murder Walk. Visiting Finland for the first time? We can arrange a private tours at your request. You can order any of our weekly tour for your group on desired date. Customized itineraries are also possible. Our experienced guides will work with you to create a personalized tour that satisfies your interests and insure that you experience all the sights, beauty and nature that Finland has to offer. 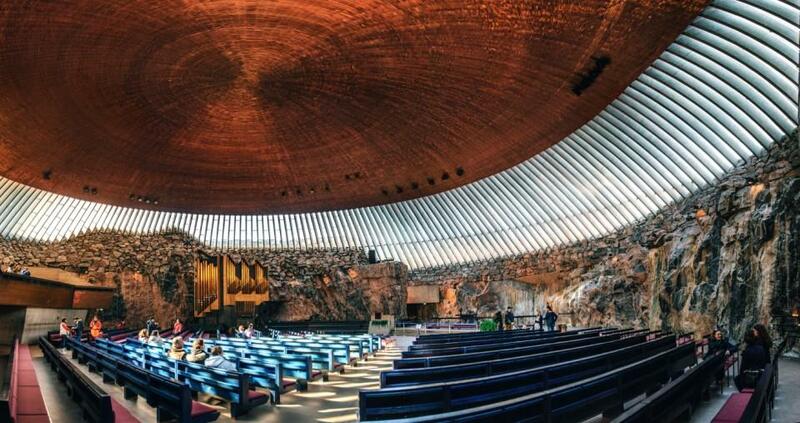 Finland is one of Europe’s best-kept secrets. 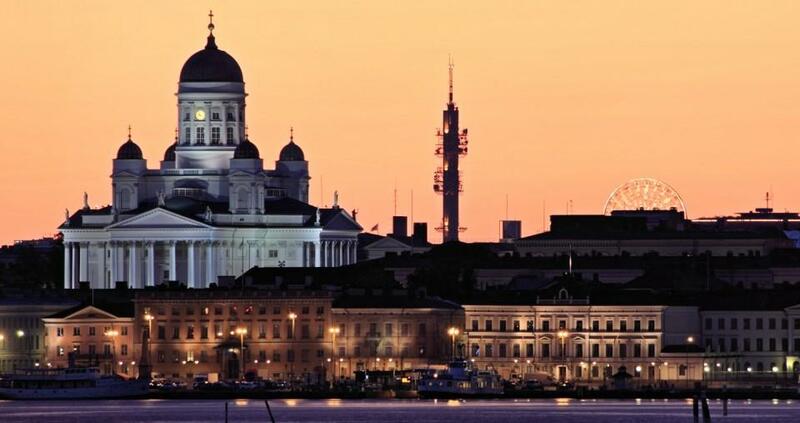 Helsinki offers visitors an urban landscape unlike no other, nature that can’t be found anywhere else in the world, historic sights such as Suomenlinna and Helsinki Cathedral and events that celebrate Finnish culture. Our guides are excited to reveal Helsinki’s secrets and share their vast knowledge of Helsinki and Finland. Whether you choose to enjoy long summer days or winter wonderland during Finland’s colder months, our expert guides will be there to assist and inform you whilst making the experience enjoyable, helping you create life-long memories in the deep North. No matter what kind of bucket list you have for Finland, Helsinki City tours are always a good way to start.